Posted in: 1 Pageant Pages, 2 Shout-out-Looks. Tagged: Bb. 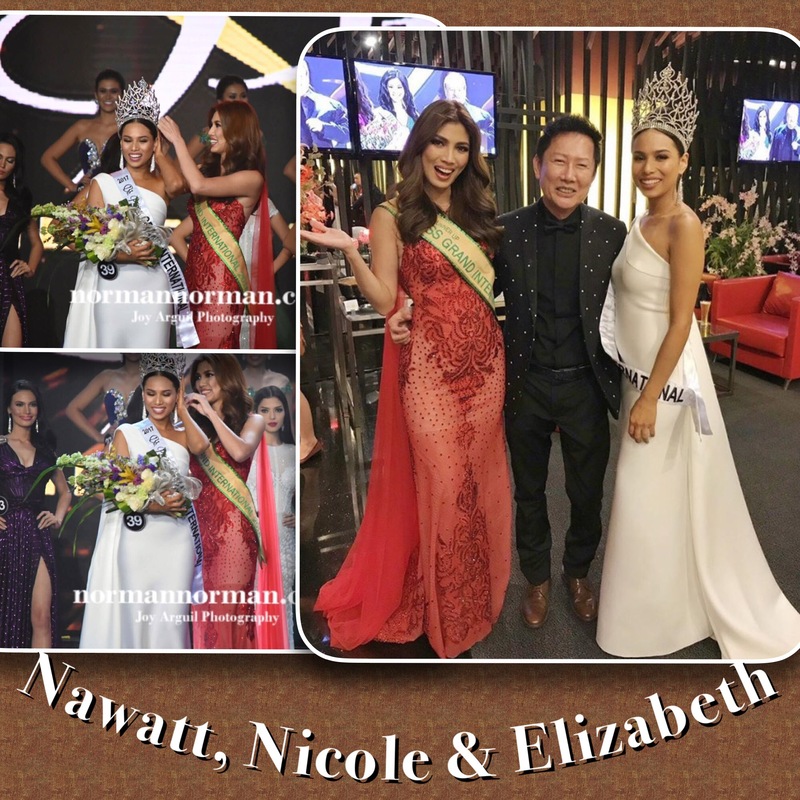 Pilipinas 2017, Elizabeth Clenci, Miss Grand International 2017, Nawatt Itsaragrisil, Nicole Cordoves. Last Sunday night, Miss Grand International owner Nawatt Itsaragrisil was a member of the audience inside Araneta Coliseum. He waited in bated breath as to who will be crowned Bb. 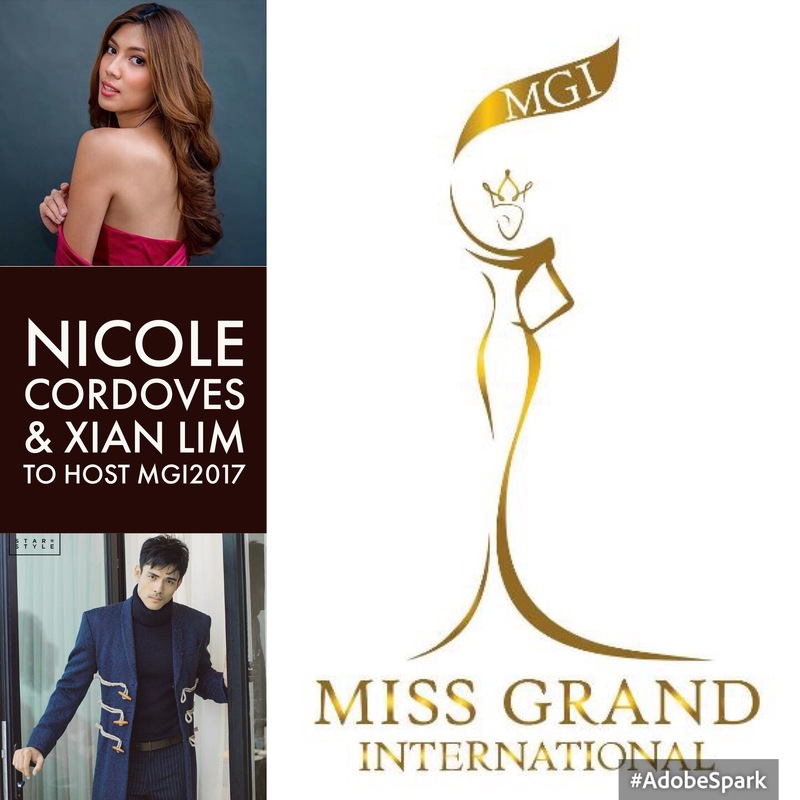 Pilipinas Grand International 2017 to represent the Philippines in Miss Grand International 2017 scheduled to be hosted in Vietnam later this year. And Nawatt must have been pleased with the choice of Elizabeth Clenci. He is known to have this fondness for sweet and intelligent ladies who can express themselves with a dash of spontaneity and consistent common sense. The musical talent is an added bonus. 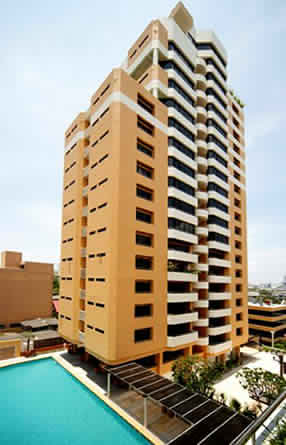 And the Fil-Aussie from Mandaue City nicely fits the bill, in my opinion. Watch a video of her full performance including the Evening Gown presentation where she wore that very elegant Jaz Cerezo creation. Posted in: 1 Pageant Pages, 2 Shout-out-Looks. Tagged: Artika Putri Pertiwi, Miss Grand International 2016, Nawatt Itsaragrisil, Nicole Cordoves, Supaporn Malisorn. 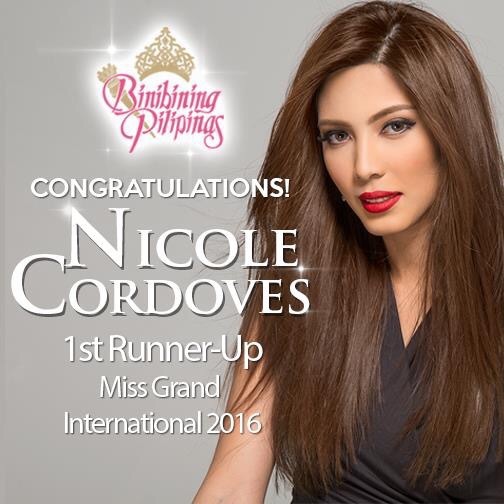 I briefly chatted with Miss Grand International 2016 1st Runner-Up Nicole Cordoves yesterday and she told me that she is satisfied with what she has achieved in the competition because she knows deep in her heart that she did EVERYTHING that she can and has overcome so much for this mission. 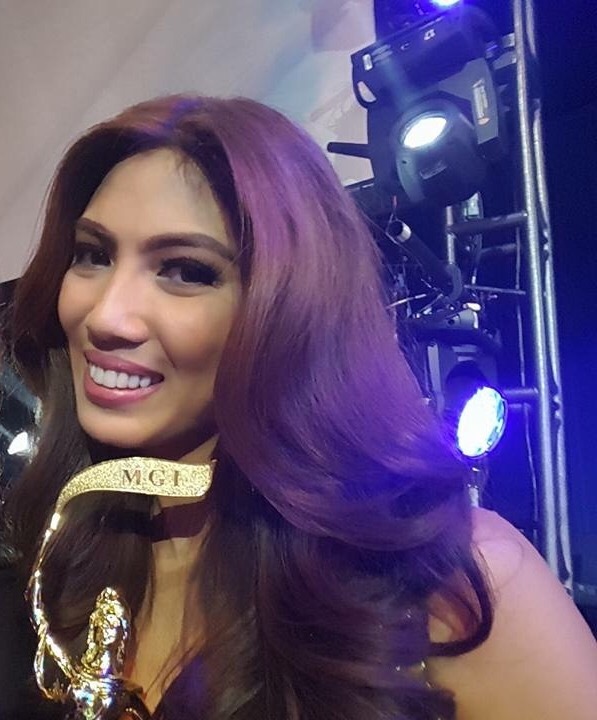 Now what makes me extra happy that Nicole won’t be just a nominal 1st Runner-Up. 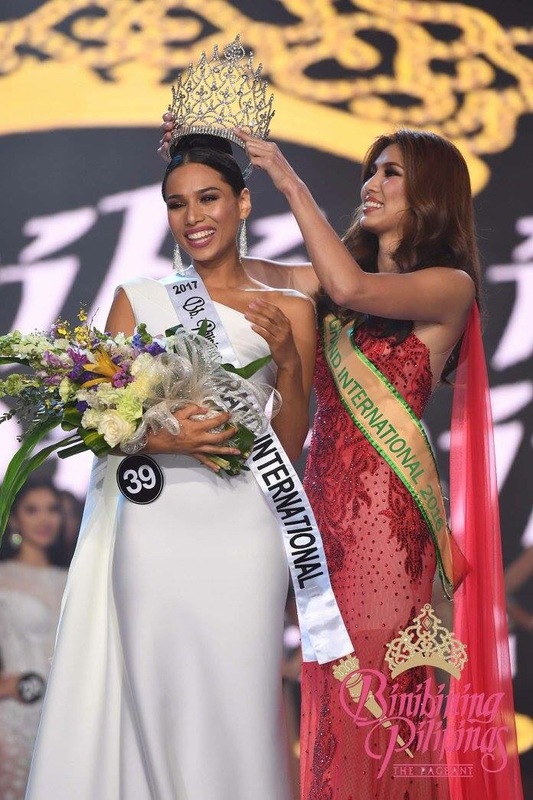 Pageant owner Nawatt Itsaragrisil said that she will indeed be part of the different travels for Miss Grand International, and this will be where her speaking skills will come in handy. It also helps that all three Top 3 placers are from the ASEAN region so gathering them as trio all the time will not be a big concern. Posted in: 1 Pageant Pages, 2 Shout-out-Looks. 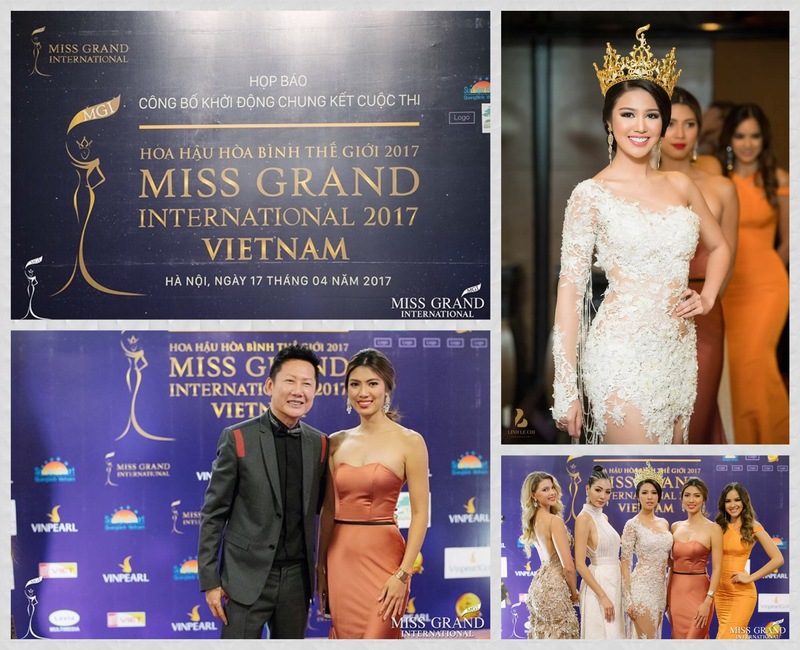 Tagged: Ariska Putri Pertiwi, Miss Grand International 2016, Nawatt Itsaragrisil, Nicole Cordoves, Priscilla Howard, Teresa Yuol, Vaiata Buisson, Westgate Resort & Casino. 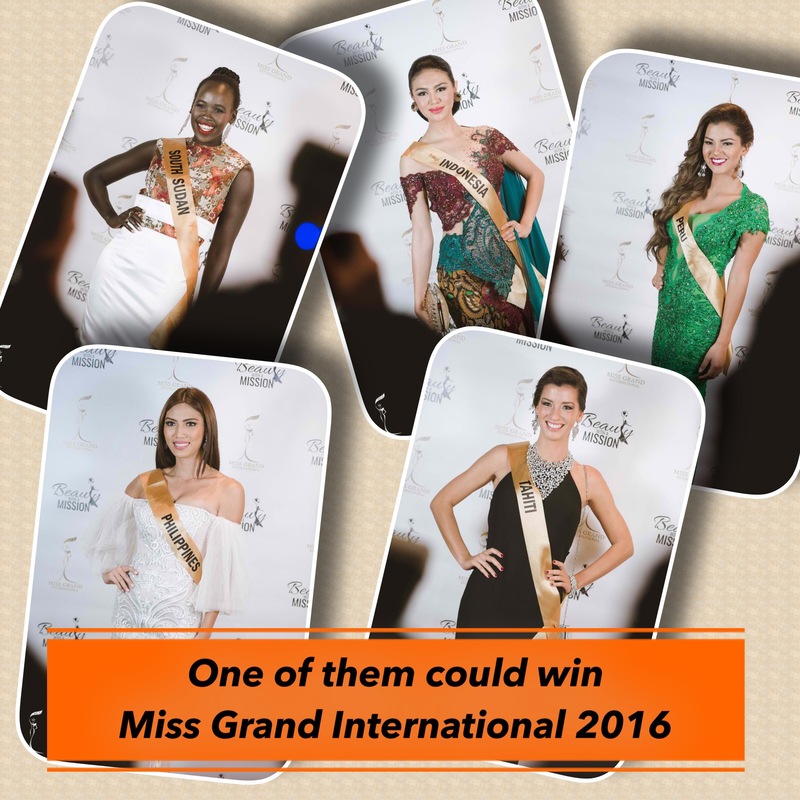 Who will win Miss Grand International 2016? 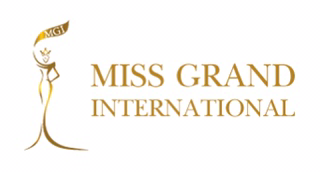 With seventy-six (76) ladies vying to become the 4th winner of Miss Grand International (fifth actually if you will include Anea Garcia of DR who was replaced by Claire Parker of Australia in the middle of her reign), the odds of choosing the most deserving titleholder has just gotten tougher considering the individual stories and causes of each one of them. 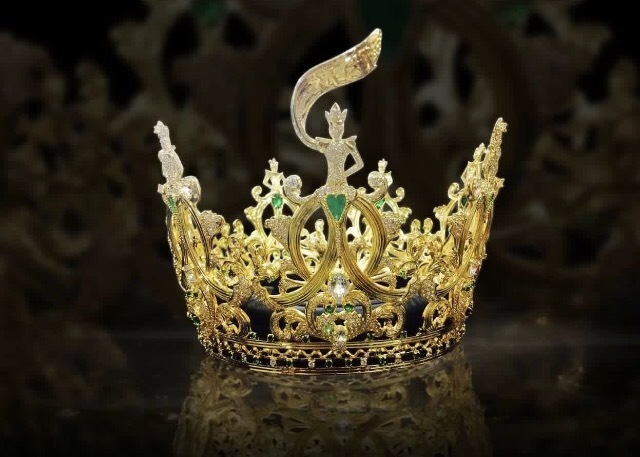 Just when everyone thought that this is a mere beauty pageant, the emphasis being given to the true essence of beauty beyond physical attributes has stepped up several notches this year. 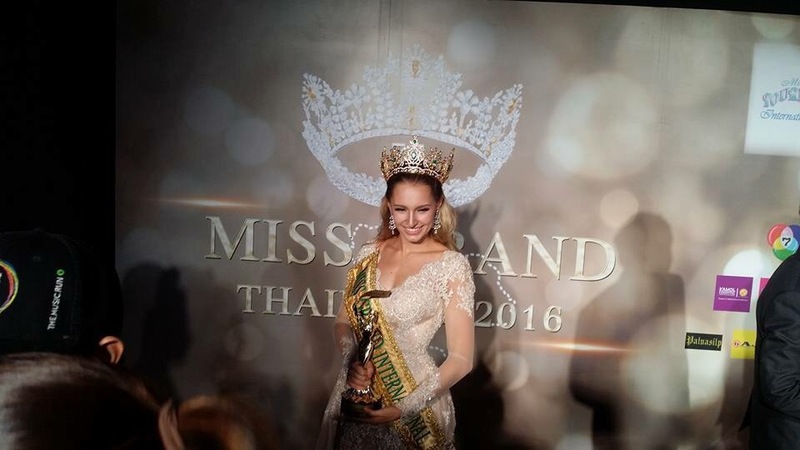 Pageant owner Nawatt Itsaragrisil of Thailand has instilled stricter rules for this batch to weed out the potential “undesirables”, owing to what happened with the original 2015 choice. And so, the Top 20 names on my list is a healthy mix of delegates with the complete package, or those who can popularize the brand to more countries in a positive way. I must admit that the Asians comprise a large group because they have really shown stronger passion and determination to excel in each segment of the competition. But that’s just half the story because the Latinas and the Africans have also leveled up. Be that as it may, cutting the twenty names above in half is difficult, let alone prediction-unfriendly. Because once there are only ten girls remaining, the chances of hitting the right combinations are open to a lot of misses. But I am aggressive in this regard. At this point, I will stop arranging them in alphabetical order based on countries represented. With only ten candidates to play around with on my list, the true beautiful colors of each one should make them shine bright. 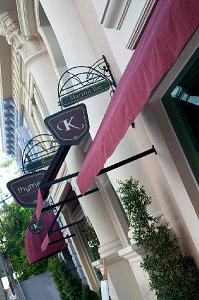 This is where they will voice out their causes and show to the world what lies deep beneath what can be appreciated on the outside. Will long preliminary interviews indicate that one contestant is favored over the other? Or does that only mean that she talks a lot, sometimes to the discomfort of the listeners? Will the factor of being loved and adulated by many count significantly in the final tally? 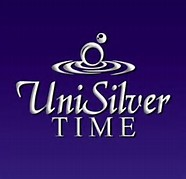 Or will the impressive social network presence of one be the crucial edge over the hot picks? My Top 5 was arrived at, while considering the answers to the questions above. 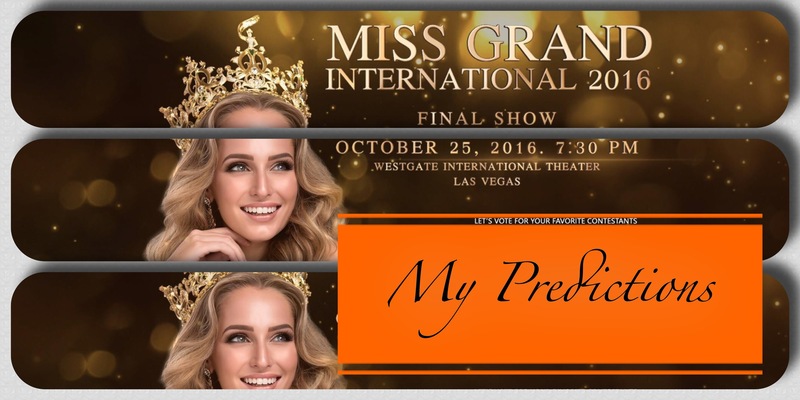 And while this may not run parallel to the forecasts of many sites, I assembled a quintet based on what will be good overall for Miss Grand International. Ariska Putri Pertiwi of Indonesia, Vaiata Buisson of Tahiti, Nicole Cordoves of the Philippines, Teresa Yuol of South Sudan and Priscilla Howard of Peru make up my final quintet. The mix might surprise many. But just to add a little spice, Debora Paola Medina of Venezuela placed 6th on my personal tally and she was so close to getting the spot of Peru. In the end, I trusted my gut and went for the latter. Instead of ranking the five, I thought it best to say that any one of them could win the title so it all boils down to who will deliver the best answer to the final Q&A. For personal reasons, I would go for Nicole Cordoves in a heartbeat. But I also know that the four other ladies in my magic circle are capable of pulling off the smartest hat trick during crunch time.